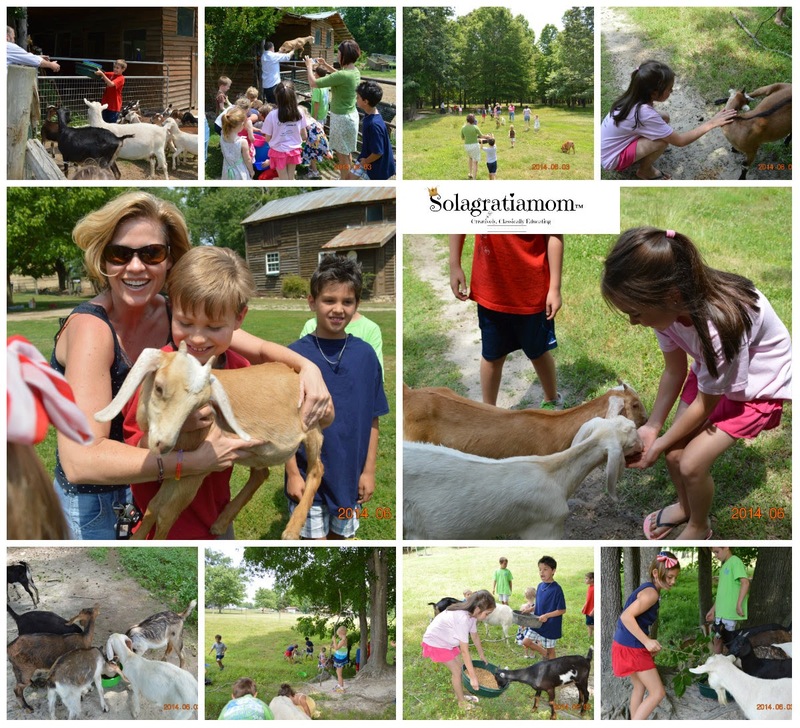 What better way to spend an early summer day then at a goat farm? Especially, when it's as friendly, beautiful and educational as Mr. Dave's farm over at Elodie Farms! Located in Rougemont, NC -about an hour drive from the Raleigh area, this scenic setting is just right for kids. The mood is laid back and Mr. Dave is full of Southern charm and hospitality. 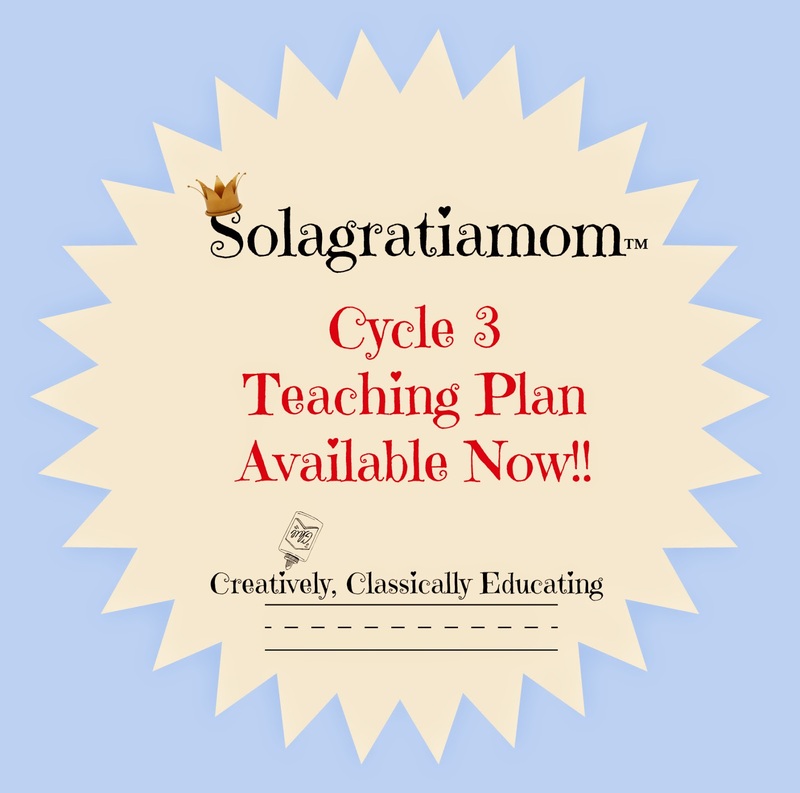 He welcomes the children and clearly has experience with them as he opens up his farm to these kids for their wide eyed, educational benefit and blessing. Mr. Dave leads the kids down to the goat barn. The goats all come rushing up to see their new visitors, presuming they are bringing food to them. Mr. Dave gives the kids brief instructions about the goats and how to safely interact with them. Then he opens the gate and the kids pour in to the sea of goats awaiting them. The goats are friendly and hungry. The kids locate a bucket of feed and begin to divvy it out to the various goats. The Moms all begin to notice the plethora of goat poo and it's accumulating presence on their shoes. Mr. Dave goes to check on the milk for making cheese next. 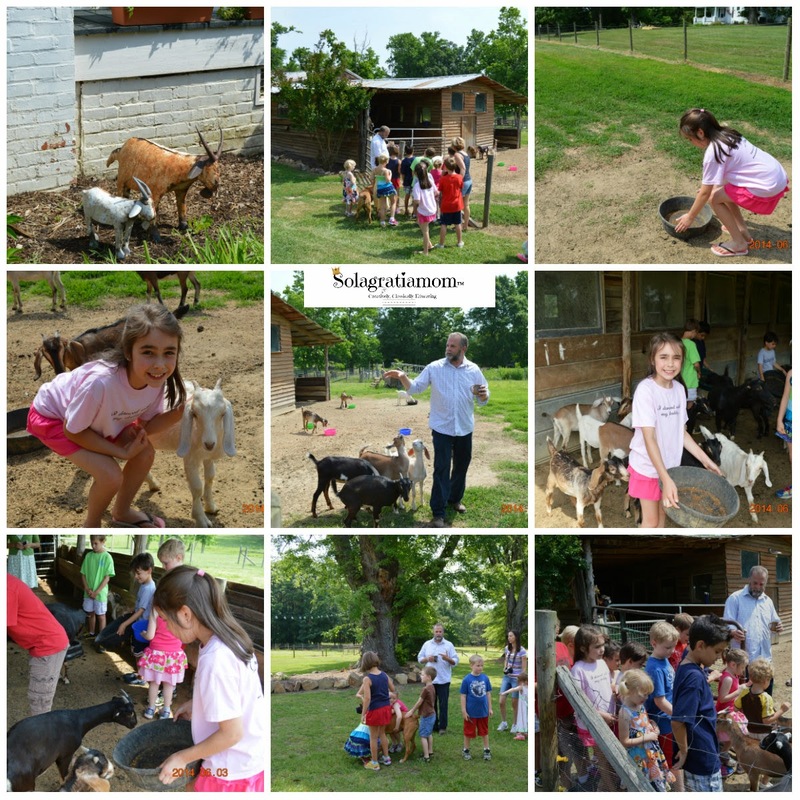 While he's gone, the kids are free to play with the goats and enjoy getting to know them. Mr. Dave returns and begins to tell the kids the various names of each goat. With names such a pippi-mary and mary poppins, the kids are delighted at the silly names he has given them. The next task was getting out of the gate with all the goats and children. Quite the task indeed, as each goat tries to press their way pass and exit with the kids. One escapes but Mr. Dave seems unconcerned as the goat follows the crowd heading to the milking parlor to learn how to make goat cheese. First stop is the milking station. Mr. Dave demonstrates with our escapee goat, how the milking pen works and his unassuming volunteer quickly realizes there is food involved and the struggle is non-existent. 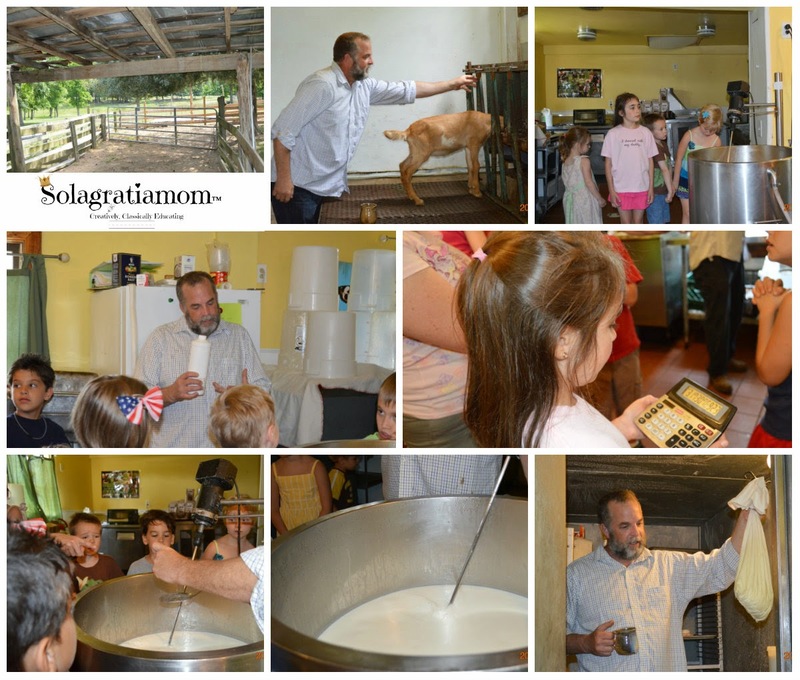 Next we head into the milking parlor and there is a giant vat of goat milk ready for the kids to begin learning the process of making cheese. Mr. Dave is great at engaging the kids in the process and sharing with them each step involved. He shows them the cooler with bags of cheese in pillow cases and then explains about pasteurization and rennet. He has the kids calculate the amount of rennet for the size of the milk vat he has waiting and then measures and pours it into the vat. Another child turns on the machine that mixes it and he further explains the process of each step involved. The next stop is to feed the goats out in the fields while Mr. Dave prepares the cheeses and crackers for the tasting. He gathers the grain and has the kids help fill the various colorful pails to then walk out to the field and give the goats their grain. He even lets one of the kids hold a goat! The kids are delighted as the goats eat from their pails and hands, greedily consuming what's put before them with no regard for it's giver. 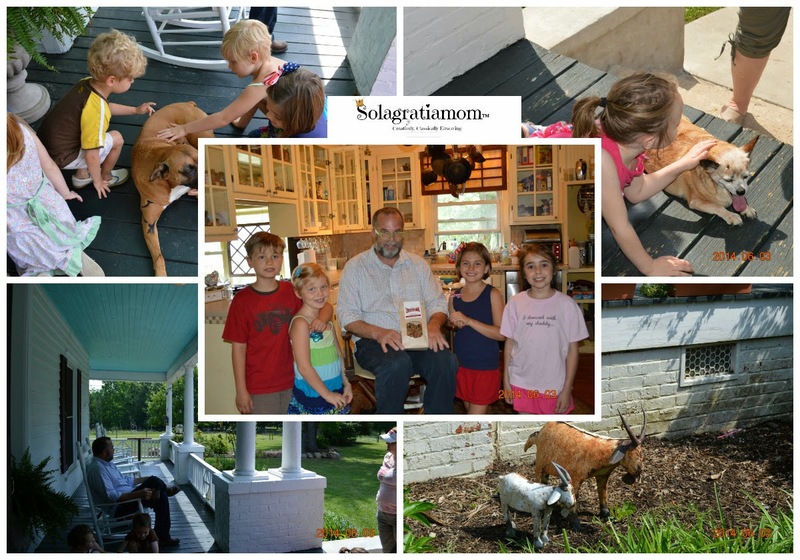 The kids don't seem to mind as they talk with delight about each newly discovered feature of the goats and their behaviors. They are allowed to remain in the fields for quite some time playing with the goats, grabbing sticks - imaginations soaring together as they run around gleefully. The final stop is the cheese and cracker tasting! Mr. Dave offers three types of cheeses available for them to try. All the cheeses were made on site and he also had his own line of crackers with some homemade strawberry pepper jam for both. 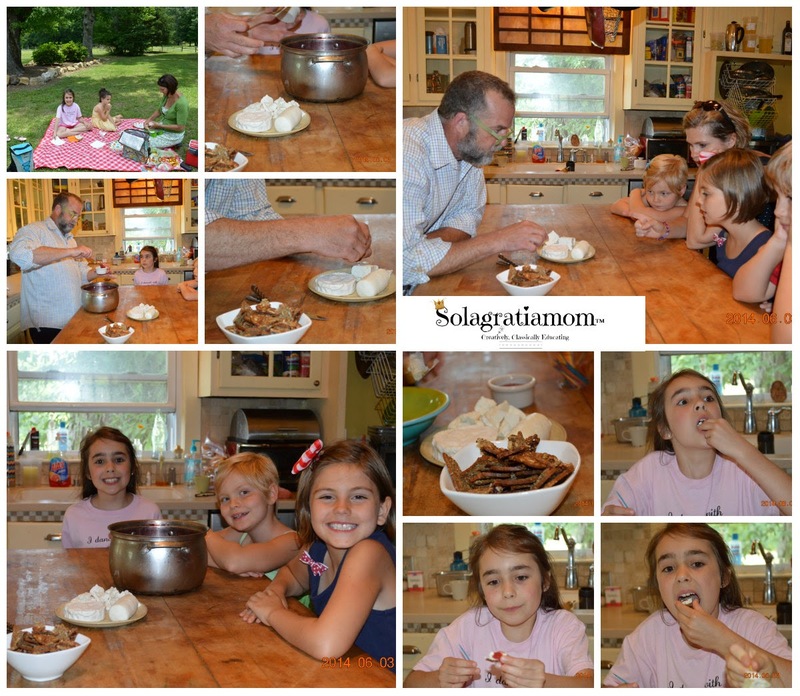 The smells and tastes were novel and fun for the kids. Some cheese was loved better than others -but all loved the jam! Mr. Dave was engaging throughout. To end our field trip we spread out our blankets and broke out our picnic lunches. The kids ate and ran throughout the yard into the barns and farmhouse. Mr. Dave was delightfully laid back and hospitable with the children. Nothing seemed to ruffle his feathers. A single father of two boys, I guess he's probably seen it all and it's given him a relaxed attitude of taking everything in stride. 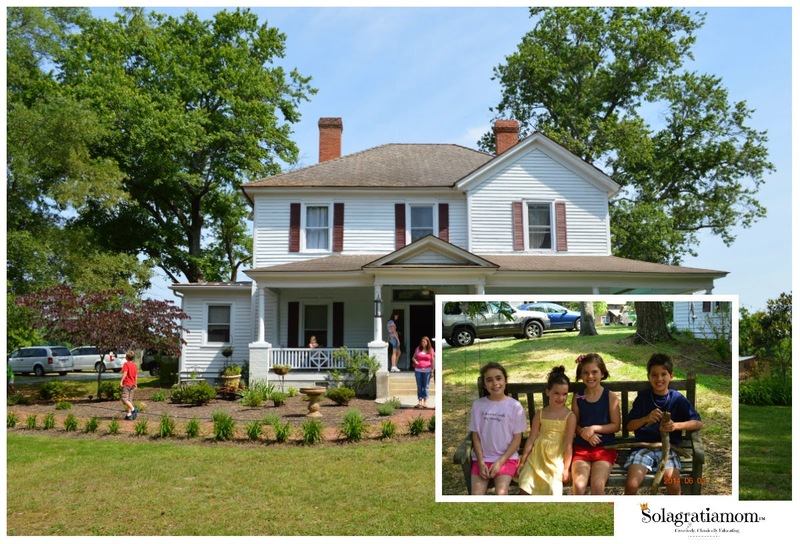 If you are ever in the Piedmont or live nearby - then this is one field trip you will want to schedule for your kids! If you are looking for a romantic dinner with your spouse, then keep your eyes peeled for Mr. Dave's Dinner on the Porch offered monthly with top chefs from the surrounding area! Truly a gem to have found so close-by! My sister in law lives in NC. We have visited once and went to DUKE. This looks like fun - our next visit may need to include this!